Days after Take-Two Interactive shut down a popular GTA V modding tool, another modding service has come into the publisher’s crosshairs. 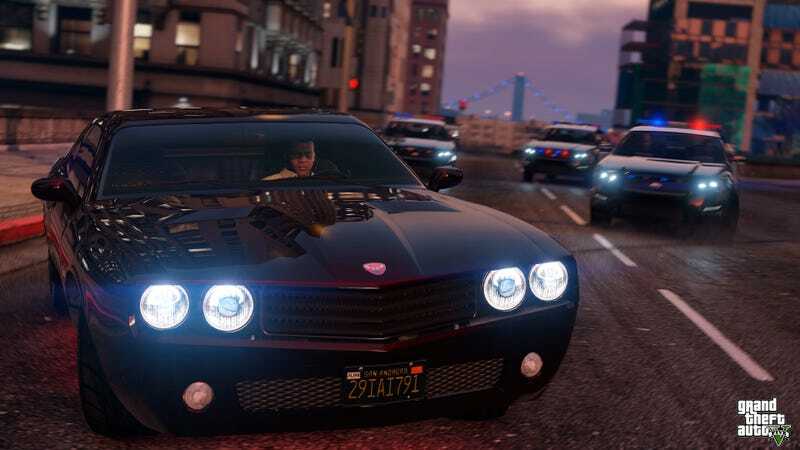 Force Hax, a GTA Online PC modding menu that charged users money for its cheating and harassment services, has not only been taken down, Take-Two asked the developers to apologize in an unusual way. Force Hax was a mod menu that players used for a variety of things, including gifting themselves endless money, freezing and kicking players from the game, and even stealing money from other GTA Online players. Force Hax was not the only tool of its kind, but it was one of the most popular ones. Rockstar confirmed with Kotaku that the former cheat enablers do indeed have to donate their modding earnings to charity, but did not specify how much money that would be or what specific causes would benefit from it. We do know, however, that Force Hax cost $15 a month for players who used it, and that thousands of players were estimated to use the services. Force Hax’s takedown shouldn’t be a surprise: when Rockstar clarified why Take-Two took down the GTA modding tool from earlier this week, a spokesperson specified that the publisher wanted to impede “malicious mods that allow harassment of players and interfered with the GTA Online experience.” While arguably Open IV didn’t fit that criteria, Force Hax most certainly does. UPDATE 6/18 9:56 AM: Two more “mod menus” have been shut down since yesterday, reportedly due to cease and desist orders from Take-Two. First spotted by GTA fan TezFunz, the “Lexicon” and “Menyoo” tools menus have both posted statements on their websites about closing down and donating earnings to charity, just like Force Hax. Lexicon and Menyoo weren’t as outright nefarious as Force Hax, but could be used online by jerks to spawn objects or mess with players. Given that Force Hax is an actual cheating tool, the community is reacting positively to the news. The mod menu was popular with griefers, so many are hoping that GTA Online on PC will become a safer place, rather than a cheater’s paradise. Despite the enthusiasm surrounding Force Hax’s cease and desist, generally, the community is still reeling from the shutdown of Open IV, a free tool used for singleplayer mods that allowed players to do things like add new characters, and make machinima videos. Elsewhere, Open IV modding fans have started a Change.org petition that currently has 32K signatures. Defenders of OpenIV say that, despite Take-Two’s claim that the tool allowed for the disruption of multiplayer activities, tthe mod was always a single-player only modding tool. The future of GTA V mods feels shaky and uncertain right now, and players are expressing worry that their favorite tool will be next on the radar. After all, modding tools fuel everything from the ever-elusive Chiliad Mystery, to popular role-playing servers. While taking down a mod menu like Force Hax is definitely a good thing, overall, Take-Two and Rockstar have an uphill battle to fight if they want to gain back the community’s trust.